Chennai, April 15 (IANS) Tamil Nadu Chief Minister J. Jayalalithaa Monday said the separation of crime investigation and law and order maintenance, as recommended by the Second Administrative Reforms Commission (ARC), would be a cure worse than the disease. Referring to the recommendation of the ARC for a separate crime investigation wing as law and order related work is accorded priority, Jayalalithaa said: "The proposal of the ARC for creating a separate Crime Investigation Agency under a Board of Investigation, with exclusive officers and staff, is a remedy which is worse than the malady." Her speech was read out by K.P. Munusamy, minister for municipal administration, rural development, law, courts and prisons, at the conference of chief ministers on the 5th Report on "Public Order" of the Second ARC at New Delhi. According to her, in Tamil Nadu, in accordance with the orders of the Supreme Court, crime investigation and law and order wings have been separately created in every police station. "However, integration between the two wings at the district and state levels is achieved through the institutions of the superintendent of police and the state police headquarters," she said. expedient. 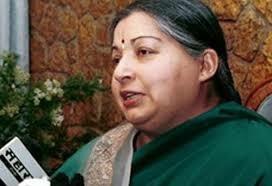 Investigation is an integral and inseparable part of policing," Jayalalithaa said. She said the creation of a separate crime investigation agency at the state level, comprising a Board of Investigation and a Chief of Investigation, not working under the director general of police, who is the head of the police force, will dismantle the entire police structure and denude it of discipline and cohesion. "An elected government at the state level is fully capable of maintaining law and order and ensuring the proper control and detection of crime. Hence, it does not need to abdicate its responsibility and powers to a Board of Investigation, having as its members various representatives who are not accountable to the people," Jayalalithaa said. Stressing that separation of the police force into two wings - crime investigation and law and order - without inter-transferability, will fossilize the system and make it wooden-headed, the Tamil Nadu chief minister said. Jayalalithaa said there is no need to interfere with the existing practice of appointing Public Prosecutors at the state and district levels by the state government. "Little purpose will be served by changing the nomenclature of Public Prosecutors to District Attorneys merely to ape a practice prevalent in some other countries," she added. She also rejected the recommendation of creating a municipal police force as yet another misguided step that will do nothing to improve policing. She said the need of the hour was a paradigm shift from the ethos of enforcement to the ethos of enablement, rather than a change in static procedure and structural mechanisms. The police reforms in India should focus on improving the mindset of the police personnel and making them people-friendly, she said. Objecting strongly to the idea of enabling the centre to deploy its forces in a state during a law and order problem without any request from the state government, Jayalalithaa said it would run contrary to Constitutional provisions. She said there should be no expansion of powers of the Central Bureau of Investigation (CBI) to classify certain offences as federal crimes. Underscoring that public order is a state subject under the Indian Constitution, Jayalalithaa said many of the recommendations of ARC relating to public order have become outdated and seriously infringe upon the state's powers. She urged the centre to increase the allocation for police modernisation as financial constraints pose a major problem for the state governments. She said the centre should also come out with a refurbished national plan for police modernisation.